Inspired by the vintage ref. 6087, the Historiques Cornes de Vache 1955 chronograph is amongst the first to feature the new calibre 1142, a heavily upgraded Lemania movement that Vacheron Constantin now makes in-house. Chronographs were the main focus of Vacheron Constantin‘s line-up at SIHH 2015, particularly with the Harmony Chronograph and the new cal. 3300. 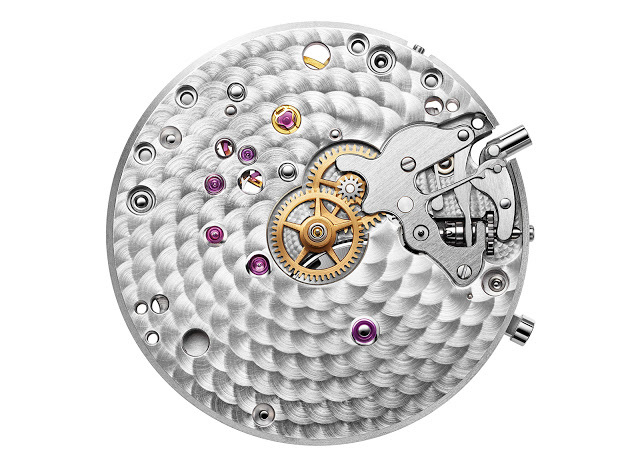 But the Geneva watchmaker has saved something for Watches&Wonders 2015, slated to take place in September in Hong Kong. Powered by the cal. 1142, the Historiques Cornes de Vache 1955 is modelled on the ref. 6087, a rare vintage chronograph made for only a few years starting in the late 1950s. 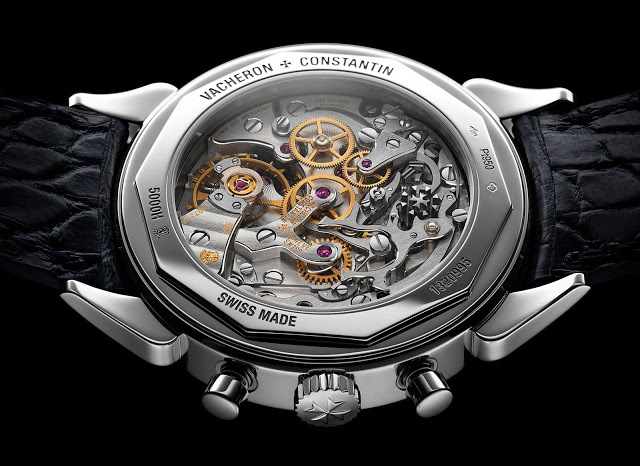 According to official Vacheron Constantin forum The Hour Lounge, only 36 examples of the ref. 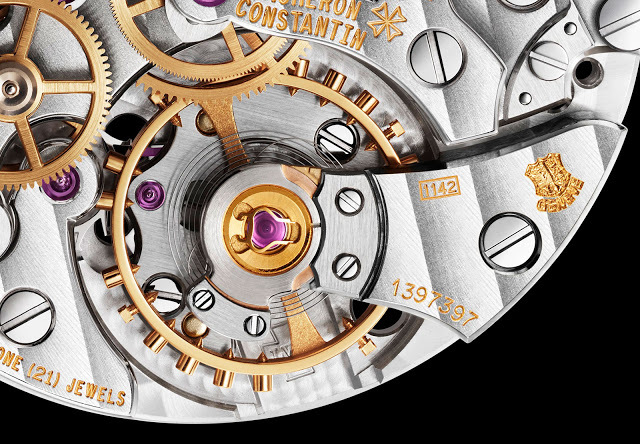 6087 were made (26 in yellow gold, eight in pink gold and a pair in platinum), making it one of the rarest Vacheron Constantin (VC) chronographs ever. Notably, the ref. 6087 was also the last chronograph reference made by VC until 1989. It’s distinguished by its lugs, shaped like cornes de vache, literally “cow horns”. 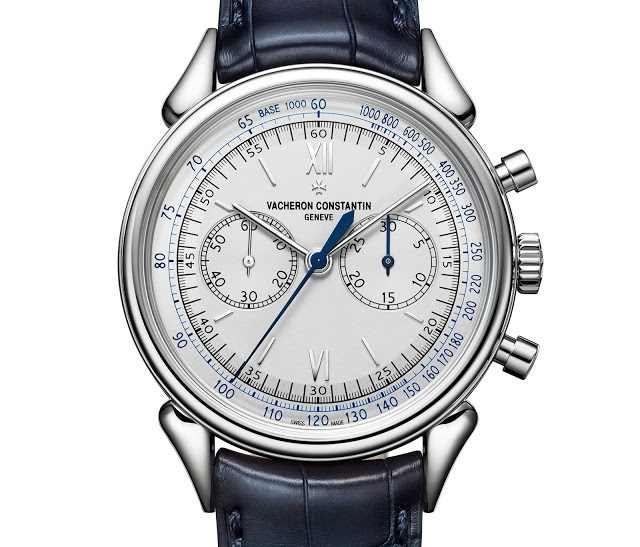 The new Historiques Cornes de Vache 1955 is a convincing remake of the original ref. 6087, with the very same cow horn lugs. At 38.5mm it’s significantly larger than the 35mm original, but still modest by contemporary standards. The case is platinum, matched with a silver opaline dial with blue accents – the chronograph hands are blued steel and the tachymetric scale is a dark blue. Inside is the cal.1142, a significantly revamped Lemania 2310 that VC now produces. The rights to produce the Lemania 2310 came to Richemont, VC’s parent company, via its acquisition of Roger Dubuis, which had acquired the intellectual property for several Lemania movements in the mid-2000s. Revealed at SIHH this year but only in a diamond-set ladies’ Harmony chronograph, the cal. 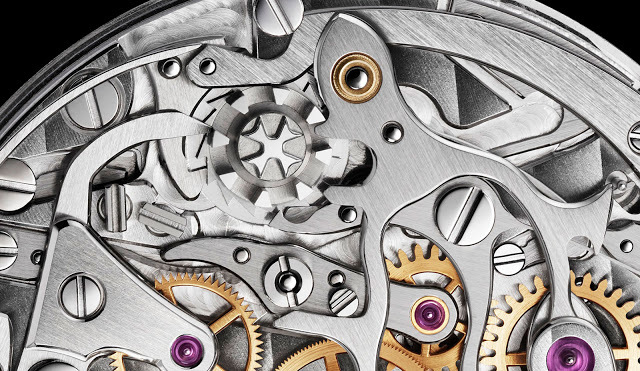 1142 features a free-sprung balance that beats at 21,600 beats per hour (the 2310 ran at 18,000 bph) as well as a redesigned chronograph mechanism evident in the shape of the levers. And like the other chronograph movements VC introduced this year, the cal. 1142 has a Maltese cross on the column wheel. The upgrades to the movement construction bring the 1142 into the 21st century (and commensurate with the top of the line price point its watches now occupy). While the original 2310 was widely used in high-end chronographs starting in the 1990s by brands like Patek Philippe and Breguet, it was long in tooth, having been designed in the 1940s. 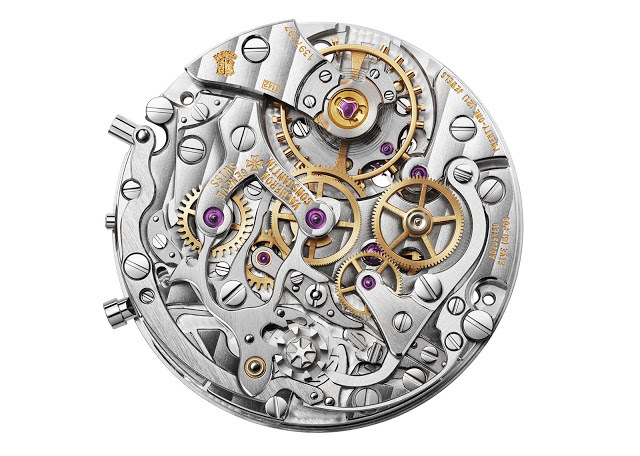 Patek Philippe already replaced its Lemania-based movements with the CH 29 in the ref. 5170G, though VC was still using a more or less stock 2310 in the form of the cal. 1141 up till recently. Though not a limited edition, the Historiques Cornes de Vache 1955 will be made in a “highly exclusive production run”, according to VC. It is priced at S$105,800 including 7% tax, or €62,000 before taxes. Addition August 18, 2015: Edited to include price in Singapore dollars and euros. 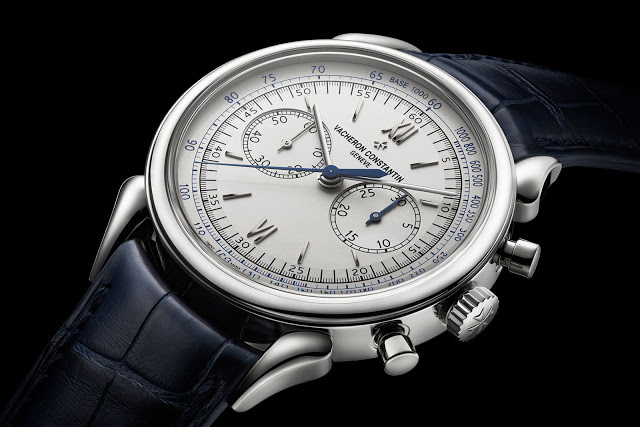 A remake of a rare and desirable vintage timepiece, the Vacheron Constantin Historiques Cornes de Vache 1955 Chronograph is equipped with a heavily upgraded calibre based on the classic Lemania movement. And it'll only be made in limited numbers.